Today's post is part of the Sunday Selfie Blog Hop sponsored by The Cat On My Head. Hop on over to their site to see more entries. I love a cat in a window! What a cute picture. How nice to be inside, especially when it's cold outside! It looks cold outside but at least you're inside where it's nice and warm. It is cold here! I've been sleeping on the furnace vent so I've been very warm! Good to see you're observing that chilly stuff from inside! It doesn't look like too much snow to worry about yet though. I know! Luckily, we just got a dusting this time. Looks like you have some of that white stuff too! 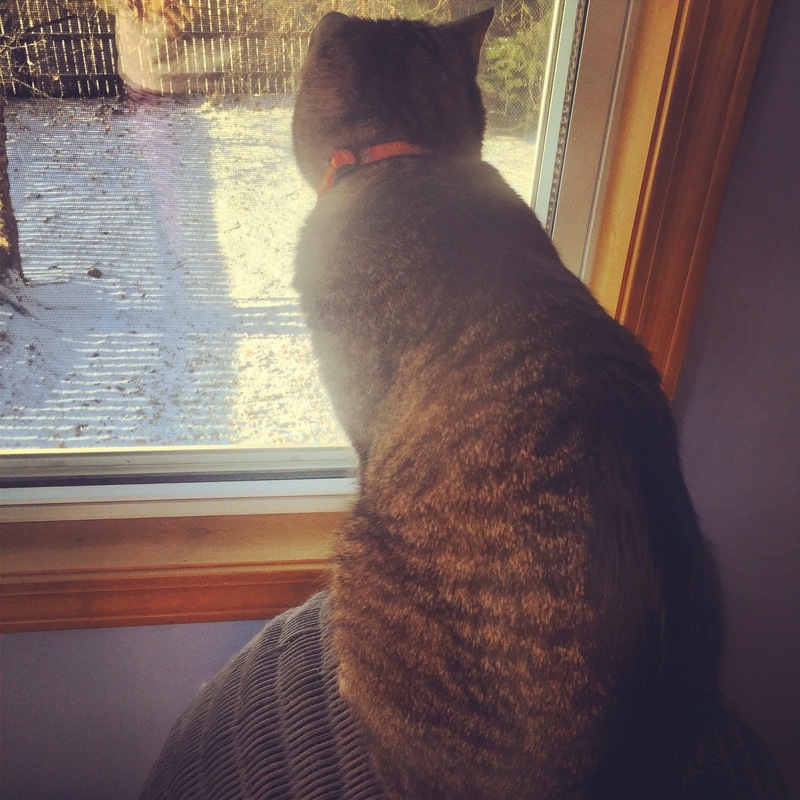 The best feeling in the world during winter is watching it pass by from inside your nice warm house.